TheBlueGuerilla: Lib Dem Shipyard War. A fresh war in the Portsmouth Liberal Democrats broke out last night. 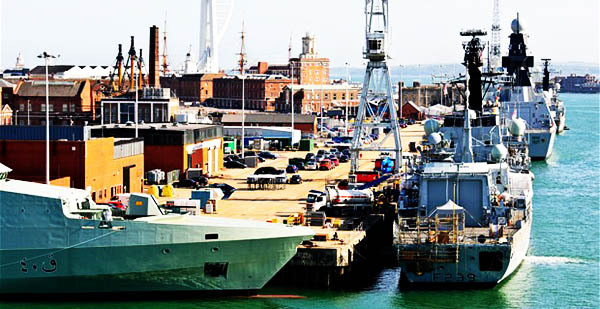 So far, the stance taken by the party's Leader of Portsmouth City Council, Gerald Vernon Jackson, as regards the shipyard closure has been that it is as a result of the Scottish Independence Referendum. However, last night, speaking on the BBC's Question Time in Portsmouth, Ed Davey, the Energy Secretary flatly denied this was the case. Gerald was sitting on the front row in the audience having somehow gained entry. His face was a picture of pure mortification.